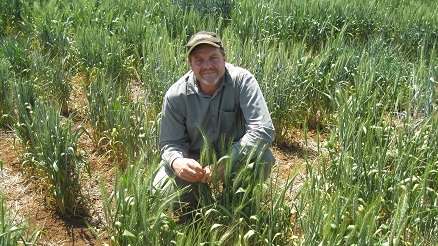 NSW Department of Primary Industries (DPI) senior plant pathologist Dr Steven Simpfendorfer said crown rot inoculum levels were a function of biomass/number of tillers produced, both of which tended to be reduced in a dry year, and the percentage of plants infected by the pathogen. Hence, inoculum levels, while not increasing as much as in a wetter year, are still maintained in lower yielding cereal crops in drier seasons. PREDICTA B is a DNA-based soil test that has been successfully used by growers and advisers for years to assess crown rot inoculum levels and guide crop/variety and paddock selection, long term disease management and the identification of other soil-borne diseases or root lesion nematode issues. For results to be accurate, PREDICTA B requires a dedicated sampling strategy and is not a simple add on to a soil test. Crown Analytical Services (CAS) is the service co-ordinator for the northern region PREDICTA B test and can provide northern growers and advisers with bags, soil corers, protocols and procedures for sampling as well as an interpretation of results once tests are completed. PREDICTA B kits can be obtained from CAS by contacting 0437 996 678 or email [email protected] or for more information on the PREDICTA B tests visit the SARDI website www.pir.sa.gov.au.